Good morning polished world! Hope you all are doing well! Fall is in full swing here. Leaves are falling and it's getting cooler out each day. It's also getting darker out earlier, which isn't so great. It's also not great when it's cold, rainy, and dark out. Regardless, it's one of my favorite times of year! Since it is a Wednesday, I am back posting with The Beauty Buffs. Today we are talking all about animal prints! 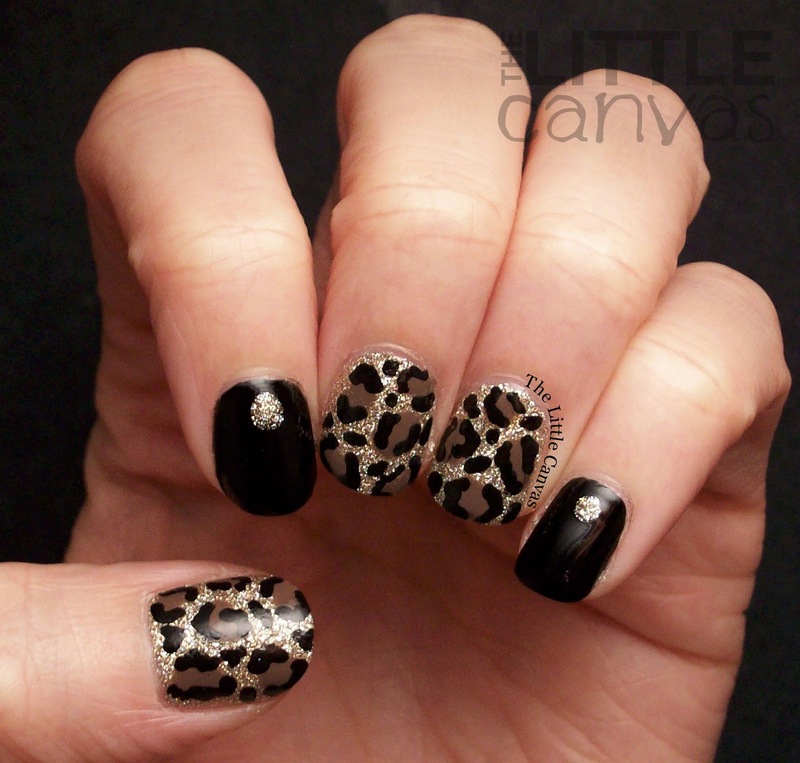 I decided it was appropriate to take a break from Halloween designs for this post and do an animal print manicure which is perfect for this season. Normally, I do crazy, funky, neon animal print nails where typically a gradient is involved. 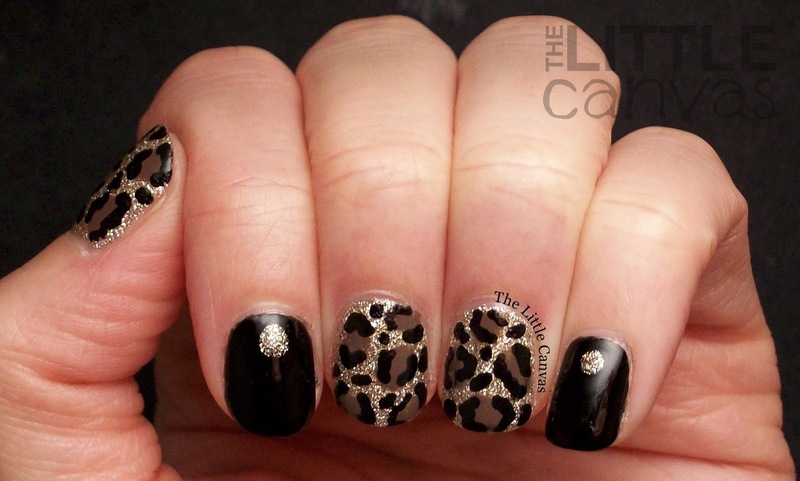 Years and years ago when I first started blogging I created a leopard print manicure using a tan base with brown spots that were outlined in black. For today's manicure, I decided to take inspiration from that design and do a classic looking leopard print with a flash of some glitter dazzle. New black polish alert! I received some polishes from Faby International. Faby is a polish company out of Italy which has 160 different colors to offer. Each of their polishes are free of the major chemicals, which is a must have. I was excited to try this product which is making it's way into the USA. One of the six colors I received was black which really made my day. I said this past weekend that I'm always on a hunt for the perfect black polish because at least 95% of my manicures have some form of black in them. Orly Liquid Vinyl is typically my go to, but I have been known to use Sinful Colors, Sally Hansen, and Jessica black polishes. 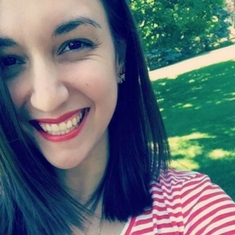 Faby's Black is Black is certainly going to be added to that go-to list! Perfect application in two coats and perfectly shiny. You can see how shiny they really are in the photos above and below! I wore this manicure for four days without a single chip...just a little tip wear, but that's to be expected. I was shocked that my China Glaze I'm Not Lion didn't chip for four days. If you own this polish, I'm sure you know that usually it just peels right off in a sheet. First time EVER since I've owned it I didn't even have a teenie tiny little chip. I was so pleased! 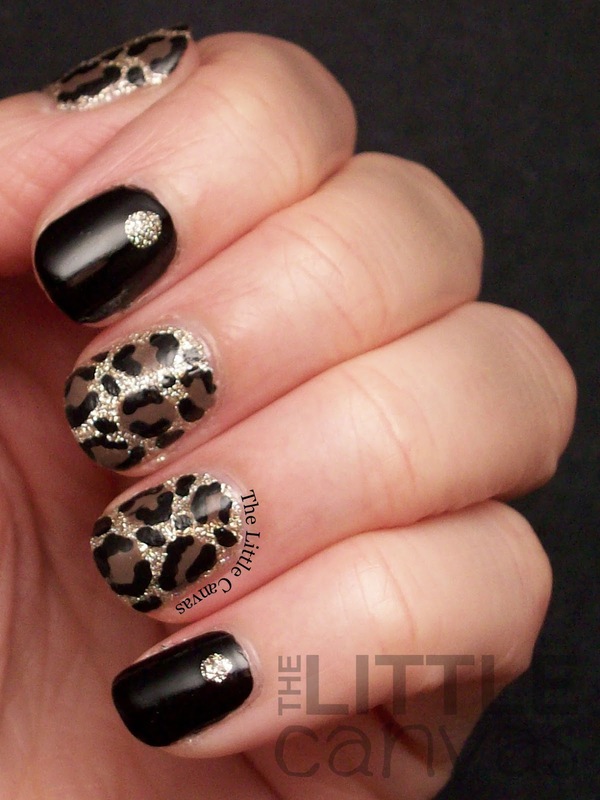 It was the perfect base for the leopard print too, so I was thrilled it stayed on! What I love about this manicure is that it is totally work appropriate! I was able to match it with so many different outfits throughout the week! And I felt less awkward with it on my nails versus my current hautned house manicure. It is great because it's subtle, and yet upon closer examination you can see that there is a fun nail art design, with that little bit of glitz! What do you think? 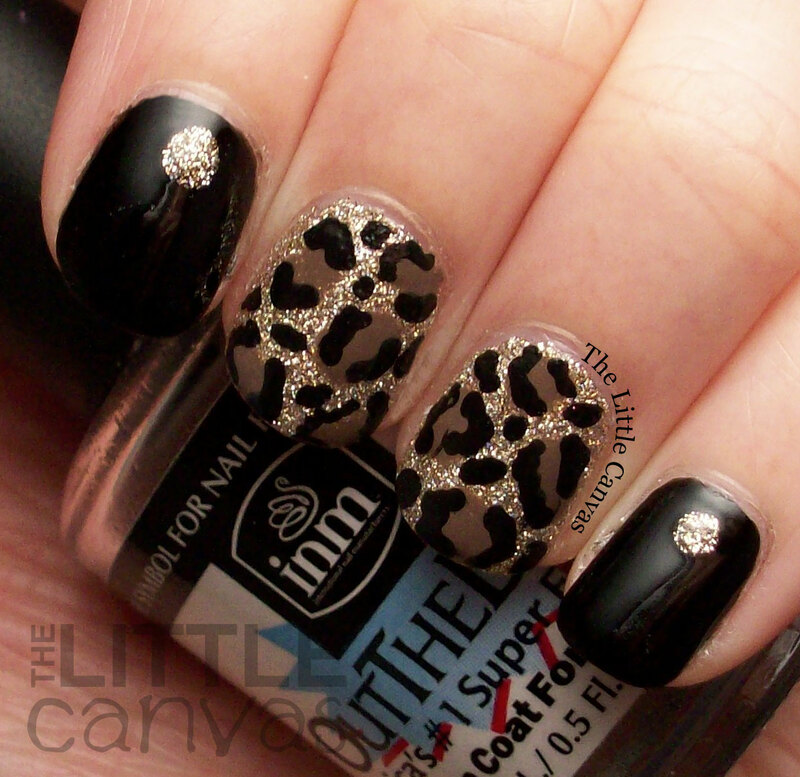 Liking the animal print manicure? 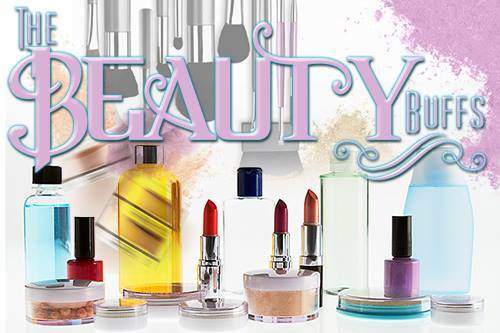 Make sure to check out the other Beauty Buff's posts!